American puppeteer Bruce Schwartz was a favorite of Jim’s so it’s no surprise that Jim launched his documentary series, Jim Henson Presents The World of Puppetry, by featuring Schwartz in the first episode. In 1977, Schwartz performed in a segment of the Cleo Laine episode of The Muppet Show. A few years later, Jim showcased the work of the young puppeteer on the Señor Wences episode of The Muppet Show, connecting the puppetry classics from the first half of the 20th Century with the new work of the modern day. See Bruce Schwartz in action and learn more about other puppeteers featured on Jim Henson Presents The World of Puppetry. 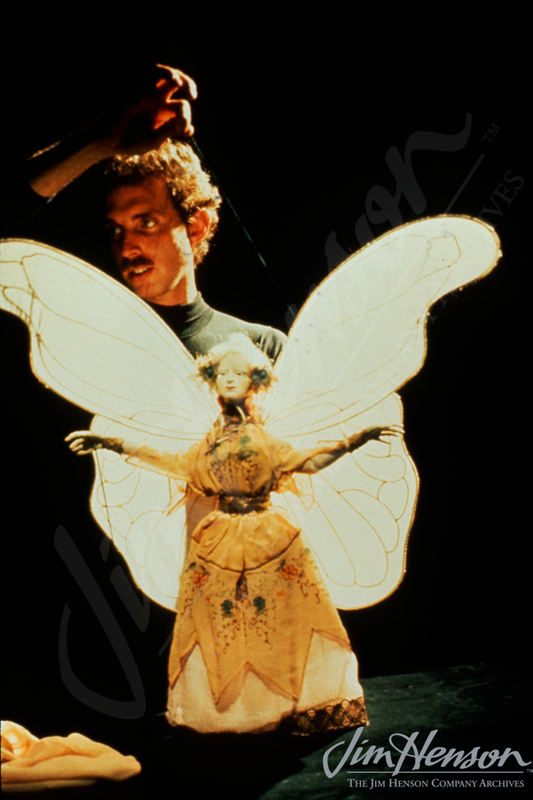 Bruce Schwartz performing for Jim Henson Presents The World of Puppetry, 1983. This entry was posted in 07-July '83, 1983, Jim Henson Presents and tagged Bruce Schwartz, Cleo Laine, Jim Henson Presents The World of Puppetry, Senor Wences, The Muppet Show. Bookmark the permalink.